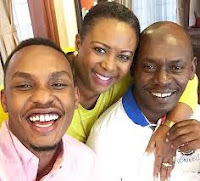 Wednesday, January 30, 2019- Former Kiambu Governor, William Kabogo, mistakenly mourned the death of celebrated music producer, Quincy Jones, instead of legendary singer James Ingram. 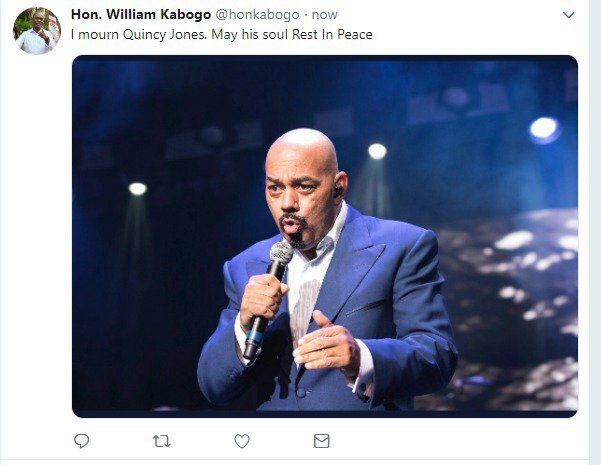 The flamboyant politician took to his Twitter handle to eulogize singer and songwriter James Ingram who died on Wednesday aged 66 but used the photo of Quincy Jones who is still well and kicking. However, he deleted the embarrassing post shortly after getting backlash from netizens. See his pots and reactions below. You should have apologised to Quincy Jones instead of pulling down the tweet. The internet never forgets.